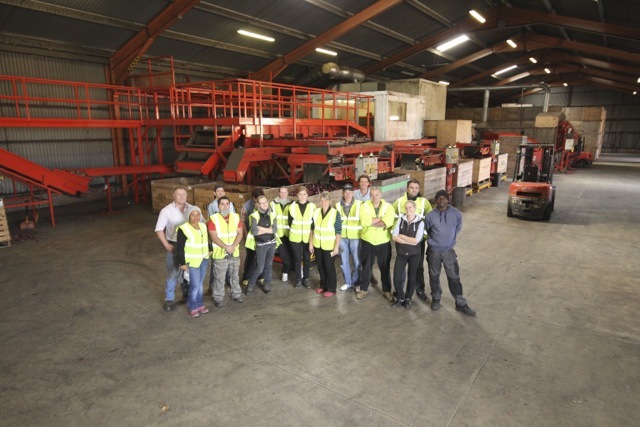 Suffolk Produce Ltd is a co-owned cooperative of 11 family farms all based in East Suffolk. Working together we supply the UK fresh market with vegetables, specialising in onions, carrots, parsnips and swede, with special crops in 2017 of butternut squash, sweet potato and banana shallots. The team in front of the onion grader.